Michael Allen Vanover, 57, of Ashland, KY passed at SOMC on July 26, 2015. He was born on May 11, 1958 in Dorton, KY; a son of the late Charles Vanover and Eleanor Ruth Hensley. He leaves behind to mourn his loss, his wife Carolyn “Nicki” (Cantrell) Vanover, His brothers, Tim Vanover (Traci) and David Vanover. Also surviving are his nephews Dylan Vanover and Tyler Vanover; his great niece and great nephew, Kylee and Mister Blevins. 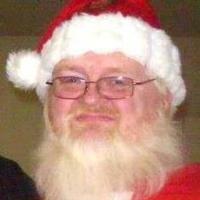 Michael was well known in his hometown of McRoberts, KY for playing Santa Claus for various events.